Good on you for jumping into 2015 with paper piecing! 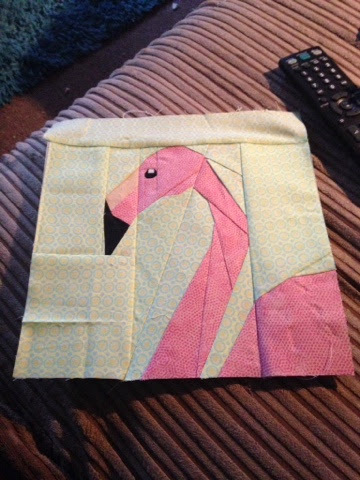 It really is a fun technique once you get the hang of it - and I promise even the tiny bits like the eye get easier with a bit of practice ;) Your block turned out fabulously! He looks just wonderful! It seems I do quite a bit of unpicking with paper piecing so glad not to do too much of it. Although it is very rewarding when it all lines up right!